4.7 I would like to thank the management of School, from the guard to all the teachers, Principal, caretakers and each and everyone who is involved in School. 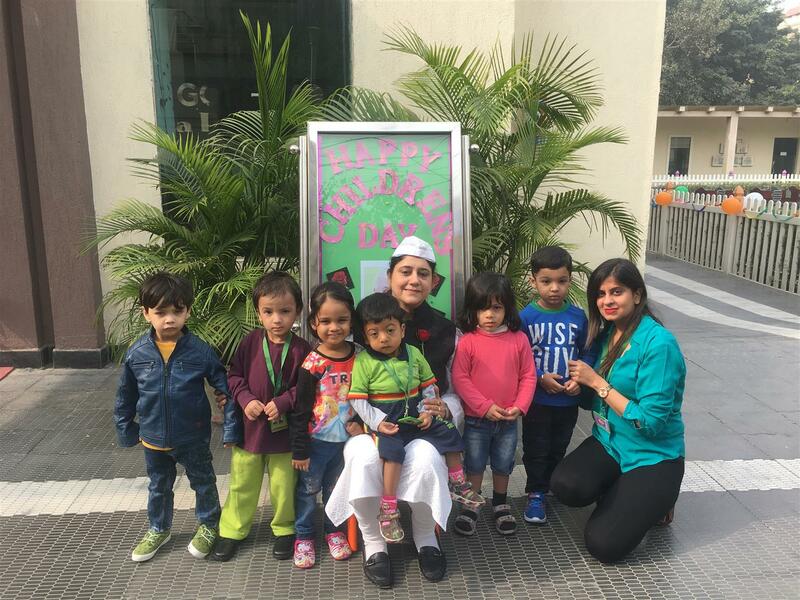 As a parent, I was very confused as in which preschool will be best for my child, but after I came across La’ Petite, Paschim vihar, I felt much relieved. At this stage, a child needs warmth and care more than anything else, which I got only here. I would like to thank the Principal of this school Mrs. Gitanjali for her personal care and touch for all the children. It was overwhelming to see her involved with all kids, all the time. After my child coming here, I felt so satisfied and content that my child is going to the right place. Many thanks to Preeti mam and Anupriya mam, for all the efforts and personal attention. I really appreciate the way, the management encourages to celebrate each and every festival with so much enthusiasm. I can proudly say, Neev knows all the festivals that were celebrated in School. School plays a big role in laying the foundation for a bright future and I am happy I chose La’ Petite to give a good start to my child’s life ahead. Thank you once again and much appreciation for all the warmth and care. 4.5 This note of mine as a parent is long overdue to G.D.Goenka La’ Petite PV which is a home away from home for my 2.5 years old son Jasman. I am proud to make GDLPPV as my choice as it helped shaping the formative time of my son’s early days to school. Parents get 100% transparency to stop by the school anytime and see the child’s experience at school. My son as a toddler is learning music at an early stage and splash pool in summers is an added advantage.The entire staff is nice and courteous and the entire environment of school is very comfortable and cozy.It goes without saying that the whole network of the school derives energy and enthusiasm from the Respected Principal Ms. Gitanjali Dutta. The school arranges to invite Parents on multiple occasions to be a part of Celebration.The entire admin is very helpful and adjusting.A special mention to Ms.Preeti as Jasman’s teacher. I am always happy to witness what a caring and attentive teacher she is. Her level of modesty is very impressive.A special shout out to all the helper didi’s(Mona and Baby didi) who extend support at all times to handle all the kids.I am so proud of the choice we made and highly recommend it to all parents. 4.6 We and Darsh had a really good experience overall. Darsh became more independent and extrovert. He has developed confidence and can stand in public and talk. I really appreciate how his routine is set as he goes to school daily and wakes up in the morning his own mostly. He is more focused and likes to sing a lot. We as parents have enjoyed many things that we had not seen or noticed in him earlier.We like the fact that the school is neat and clean and provides a happy environment to our child.Even the caretakers and cab drivers are responsible and sweet.Seeing this gives a sense of security and relief to parents as well as children.Though Darsh is a picky eater, still his eating habits have improved.We also appreciate all the hard work that the teachers and Principal Ma’am have put in, which was seen in all the events and activities that we saw and experienced.Overall, the best part is that La petite has given a culturally balanced and great moral value to the children. 4.8 After a lot of research in our area, we decided to opt for La’ Petite (Paschim Vihar) and we made the right choice. The teachers are very caring and my kid loves his teacher. We have seen him develop in a better way and could see his learning curve increasing. The activities- Grandparents day, sports day, show and tell, have given a lot of confidence to the kids. We see that every child is treated in a special way. We have always felt secured to send our child to the school because we knew he is in safe hands.A special thanks to the Principal-Gitanjali Ma’am and his teachers-Sakshi Ma’am and Rakhi Ma’am for the love and knowledge they have shared with Yuvansh.A special thanks to the faculty members and all people associated with the school for always showing love and confidence in the child and welcoming us with a smile and showing willingness to help. 4.8 I, Muskan Chawla, mother of Madhav Chawla, would like to share my mesmerizing experience with the whole GDGoenka faculty. It was quiet difficult for me to send Madhav to school even after my persistent efforts but with the support of his class teachers and honorable Principal Ma’am, it never seemed impossible. The whole teaching faculty has always been helpful during this journey. The tremendous growth observed by us in Madhav was overwhelming. The school has always been supportive and co-operative even when it was difficult for him to adjust. Moreover, I would also like to acknowledge the efforts made by school in encouraging co-curricular activities and not just focusing on academics. At last, I would like to sign by saying that it feels proud and honored to be a part of GDGoenka family. 4.5 We are writing to you to express our appreciation and gratitude as well share our observation on Harbani’s wonderful journey. I am a very protective mom who was anxious and nervous about sending my child to pre-school for the first time. However, G.D.Goenka La’ Petite won me over very quickly and allayed all my fear. The staff here is just wonderful , extremely loving and attentive. My daughter just absolutely loves going to school every day. We are extremely happy and impressed with the way Harbani is shaping up not just in terms of learning but also as an individual. We see and observe everyday how our little baby is turning into a responsible child with values and love for learning. It feels more like a good family and I would recommend to another parents. Thank you so very much. 4.8 Firstly, I would like to thank the Principal Ms.Gitanjali for her constant efforts to bring the best in the school and children. It is the warmth, care and personal attention in the school management that I feel so secured for my child. This school is full of opportunities for our children wherein they are prepared to face stage at an early age with much confidence through Show and tell every month and by celebrating all the festivals and occasions in the school so that the children get best of the knowledge about them. I would like to thank Anu Shokeen Ma’am for taking such a good care of my son Avyaan.As a parent, I feel much secured and happy to be a part of the La’ Petite family. 5 I am really thankful to the teachers and all the staff members for making my baby an independent and well mannered child. He had learned so many things from G.D.Goenka La’ Petite that no other kindergarten would have done it. A special thanks to Shivani ma’am, Rakhi ma’am and Sakshi ma’am who have a lot of patience and who fulfill all the demands that a child has. So, thank you all the staff members of G. D. Goenka La’ Petite for giving such a comfortable and a cozy environment which the child want in their initial stage of learning. 4.5 Though Geet has joined the school in the later half of the session as we shifted to Delhi, then also she is so attached and well settled here for which I was a little worried in the beginning.I feel blessed that she has been nurtured and taught by wonderful and vigilant teachers who know my ward and take care of her just like a mother.It has been a great journey for us with a year full of activities and celebrations here at G.D.Goenka, La ‘Petite.I thank the Principal and faculty for their kind support and attention. 4.9 La’Petite teachers helped my child in learning process, recognizing fruits and vegetables .She loves doing her homework, especially painting and pasting. The best thing we like is getting feedback from teacher about our child’s progress every week. They are very caring and helpful. 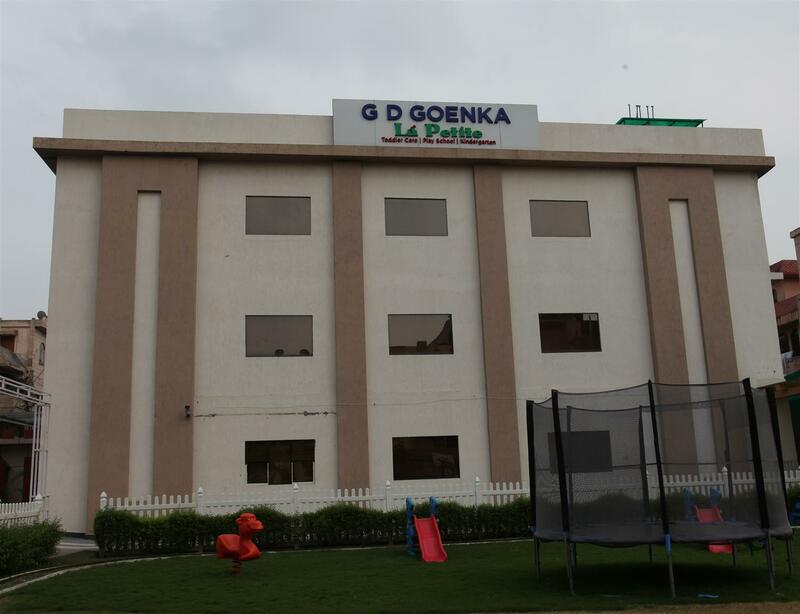 It was a good decision to send our child to G D Goenka La’ Petite. Thanks for grooming our child in her initial days of schooling. 4.9 We feel very fortunate that Rabani got the opportunity to be a part of this La’Petite family. It has been a wonderful experience seeing Rabani learn so much with such care and grace. The teachers and staff provided a wonderful environment for the all round development of the children. Rabani loved this process of learning and we loved the care and concern provided by the La’Petite family. Thank You!God Bless! 4.8 Some of the playground units need replacement. it can become dangerous for the children. 4.7 The equipment in the playground needs to be replaced. GD Goenka La' Petite Paschim Vihar is one of the Top Play Schools in Paschim Vihar. Founded in the year 2005, the school is located in the heart of Paschim Vihar. In our quest to be the Best Preschool in Paschim Vihar, we offer the best infrastructure, methodology, curriculum, internationally trained team and top of the line educational equipment. At GD Goenka La' Petite, we not only enroll your child, we enroll you too. You can enlighten yourself at our workshops for the just-right parenting, counseling, for understanding your child. Awareness: how you need to convert yourself to be at the right platform and space to perceive your child. In addition, we engage the children in Theatre and Role Play, Human Values and Character Building Stories, Folk Stories etc to capture a child's imagination in the best way. 04 Years - 05 Years - K.G. A sensitive environment which understands the unexpressed thought of the child and cares for his uniqueness and independence. The Montessori Method is applied for the complete evolution of the personality. The ultimate psychic integration of the mind and the body is possible with our highly aware and prepared environment. An environment, a little more than home, where there are no "NO"s but a guided confidence of adaptation and mastery over the environment. A curriculum which caters to the pluralistic multi-cultural society and inculcates joy in mutual celebrations of festivals from all over the world. Where the emotional self of the child is understood and led towards joyous self-esteem and adaptation to the community. An international curriculum in sync with the natural milestones of the child. The Montessori Method is applied for the complete evolution of the personality. The ultimate psychic integration of the mind and the body is possible with our highly aware and prepared environment. All the aspects of Gardener's multi-intelligence theory are nurtured and addressed to, in simple endearing ways. A curriculum which caters to the pluralistic multi-cultural society and inculcates joy in mutual celebrations of festivals from all over the world. Where the emotional self of the child is understood and led towards joyous self-esteem and adaptation to the community. 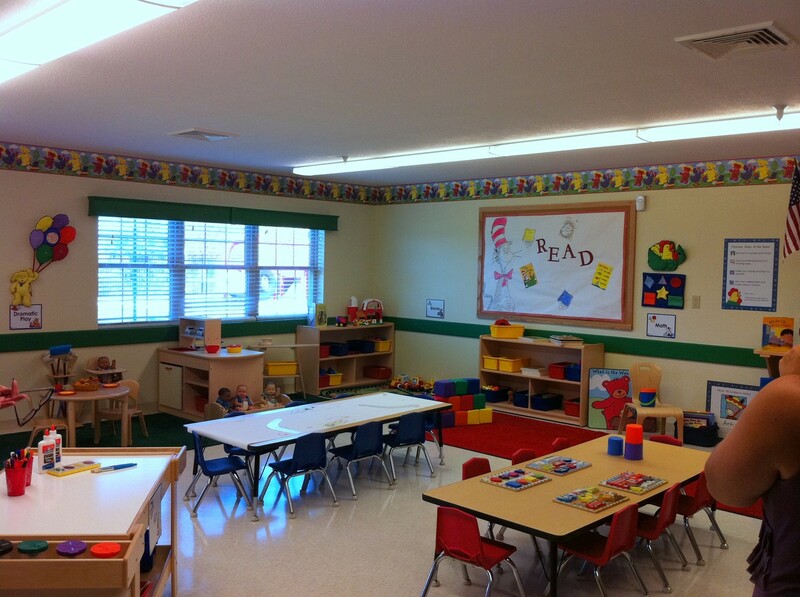 Each and every detail of the setup has an aware purpose for the development of the child. Childhood is about innocence and playfulness. It is about joy and freedom. Happy Children’s Day! I would like to thank the management of School, from the guard to all the teachers, Principal, caretakers and each and everyone who is involved in School. As a parent, I was very confused as in which preschool will be best for my child, but after I came across La’ Petite, Paschim vihar, I felt much relieved. At this stage, a child needs warmth and care more than anything else, which I got only here. I would like to thank the Principal of this school Mrs. Gitanjali for her personal care and touch for all the children. It was overwhelming to see her involved with all kids, all the time. After my child coming here, I felt so satisfied and content that my child is going to the right place. Many thanks to Preeti mam and Anupriya mam, for all the efforts and personal attention. I really appreciate the way, the management encourages to celebrate each and every festival with so much enthusiasm. I can proudly say, Neev knows all the festivals that were celebrated in School. School plays a big role in laying the foundation for a bright future and I am happy I chose La’ Petite to give a good start to my child’s life ahead. Thank you once again and much appreciation for all the warmth and care. This note of mine as a parent is long overdue to G.D.Goenka La’ Petite PV which is a home away from home for my 2.5 years old son Jasman. I am proud to make GDLPPV as my choice as it helped shaping the formative time of my son’s early days to school. Parents get 100% transparency to stop by the school anytime and see the child’s experience at school. My son as a toddler is learning music at an early stage and splash pool in summers is an added advantage.The entire staff is nice and courteous and the entire environment of school is very comfortable and cozy.It goes without saying that the whole network of the school derives energy and enthusiasm from the Respected Principal Ms. Gitanjali Dutta. The school arranges to invite Parents on multiple occasions to be a part of Celebration.The entire admin is very helpful and adjusting.A special mention to Ms.Preeti as Jasman’s teacher. I am always happy to witness what a caring and attentive teacher she is. Her level of modesty is very impressive.A special shout out to all the helper didi’s(Mona and Baby didi) who extend support at all times to handle all the kids.I am so proud of the choice we made and highly recommend it to all parents. We and Darsh had a really good experience overall. Darsh became more independent and extrovert. He has developed confidence and can stand in public and talk. I really appreciate how his routine is set as he goes to school daily and wakes up in the morning his own mostly. He is more focused and likes to sing a lot. We as parents have enjoyed many things that we had not seen or noticed in him earlier.We like the fact that the school is neat and clean and provides a happy environment to our child.Even the caretakers and cab drivers are responsible and sweet.Seeing this gives a sense of security and relief to parents as well as children.Though Darsh is a picky eater, still his eating habits have improved.We also appreciate all the hard work that the teachers and Principal Ma’am have put in, which was seen in all the events and activities that we saw and experienced.Overall, the best part is that La petite has given a culturally balanced and great moral value to the children. After a lot of research in our area, we decided to opt for La’ Petite (Paschim Vihar) and we made the right choice. The teachers are very caring and my kid loves his teacher. We have seen him develop in a better way and could see his learning curve increasing. The activities- Grandparents day, sports day, show and tell, have given a lot of confidence to the kids. We see that every child is treated in a special way. We have always felt secured to send our child to the school because we knew he is in safe hands.A special thanks to the Principal-Gitanjali Ma’am and his teachers-Sakshi Ma’am and Rakhi Ma’am for the love and knowledge they have shared with Yuvansh.A special thanks to the faculty members and all people associated with the school for always showing love and confidence in the child and welcoming us with a smile and showing willingness to help.